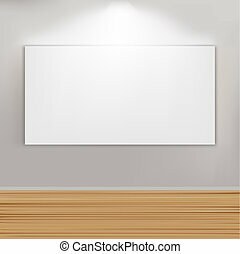 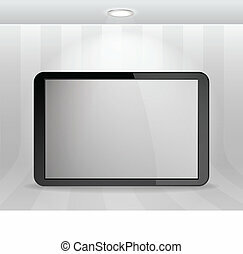 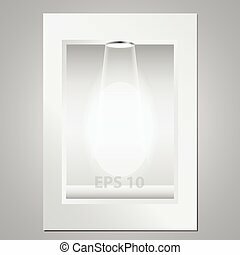 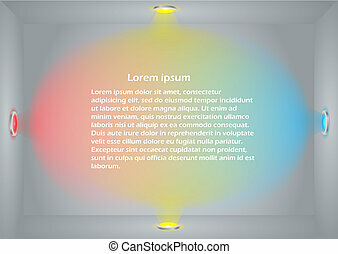 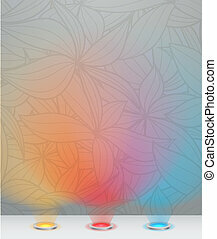 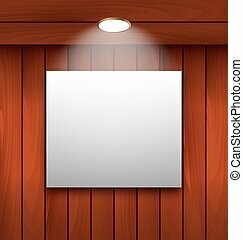 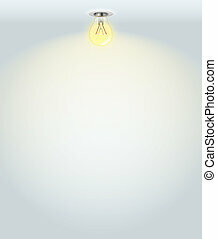 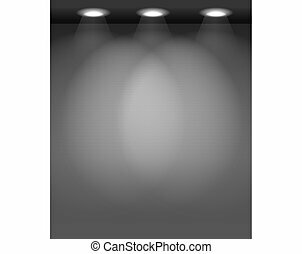 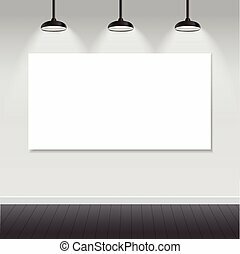 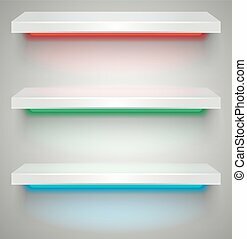 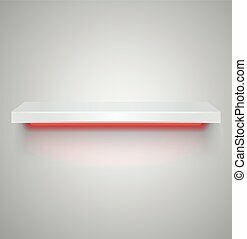 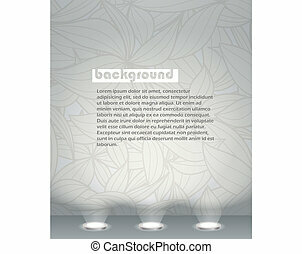 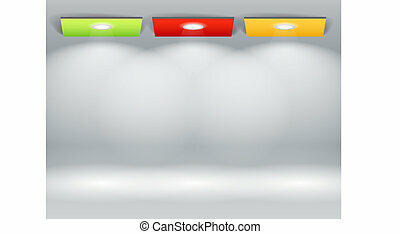 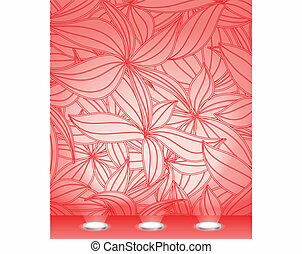 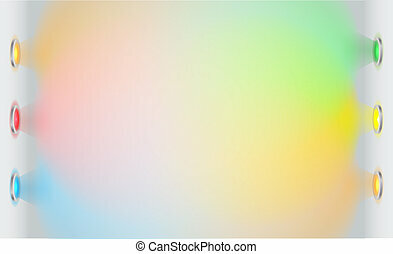 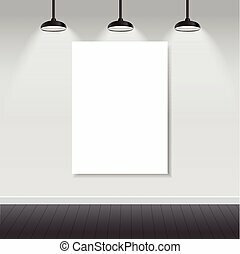 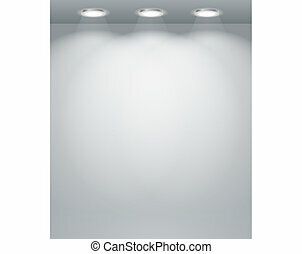 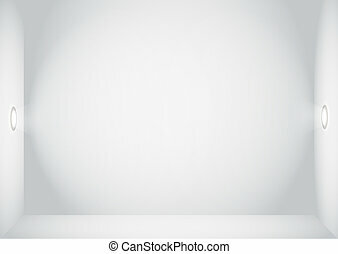 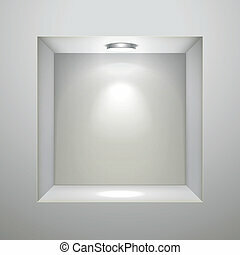 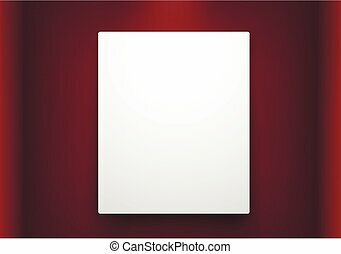 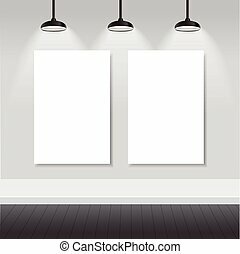 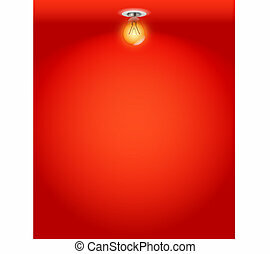 Illuminated empty wall template. 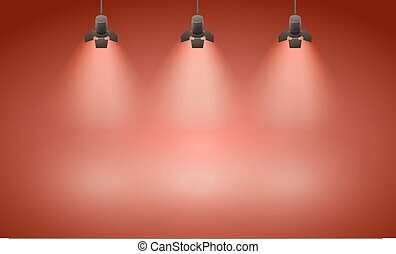 ready for your content. 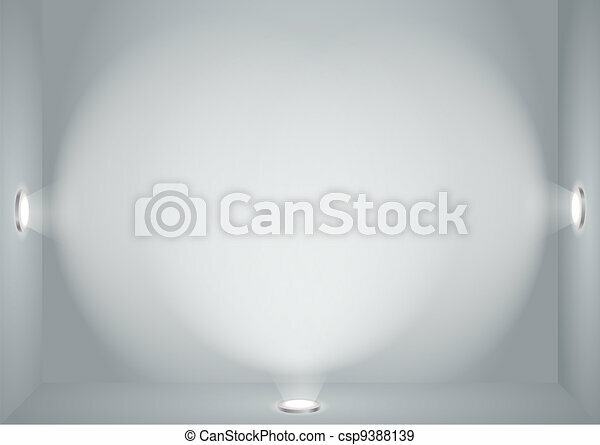 Empty white wall. 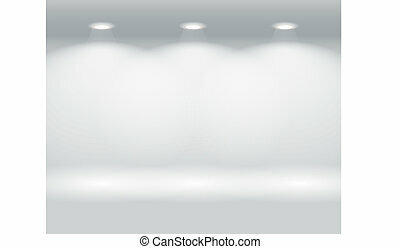 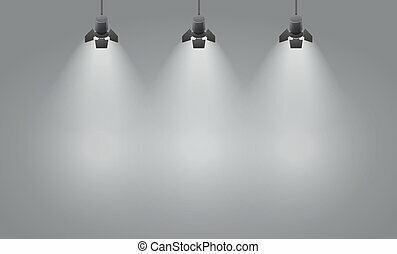 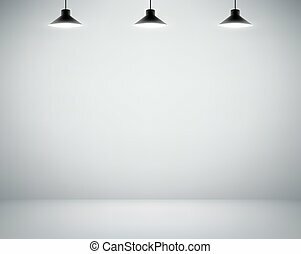 Blank room is illuminated by lamps. 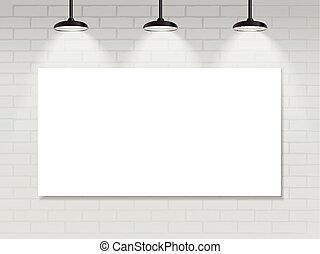 Background for advertising indoors. 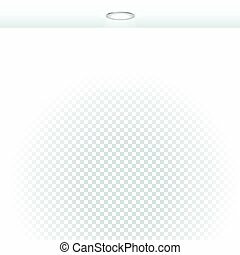 Stock vector illustration.